Hey there! Thanks for dropping by Housewares and Things! Take a look around and grab the RSS feed to stay updated. See you around! 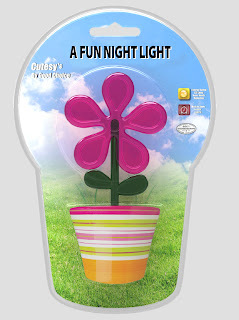 H. Schultz & Sons, Inc. is excited to introduce The New LED Daisy Night Light from Northeastern Plastics, Inc! This fun design makes night safety fun and fashionable. This unique night light is energy efficient and requires no replacement bulbs or batteries! 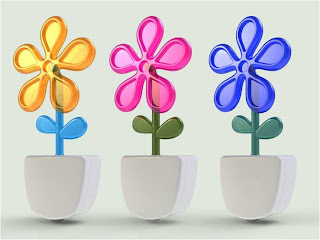 These LED night lights have a fiber optic thread running thru the flower pedals for more illumination and comes with a fun flower pot design. All of Northeastern Plastics’ products come with the Good Housekeeping Seal which means all of their products are rigorously tested in the Good Housekeeping institute to ensure the best quality for your money! 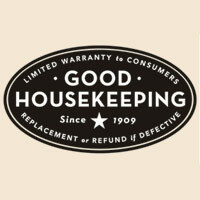 The Good Housekeeping Seal has been reassuring consumers about their product purchasing decisions for over 100 years and is one of the most recognized consumer emblems in the market today. FOR MORE INFORMATION ON THE LED DAISY NIGHT LIGHT CONTACT US AT Ran@housewaresandthings.com. Like Housewares and Things on Facebook!